The Camden County Mosquito Commission regularly checks several thousand suspected mosquito breeding sites across the county. Spraying is scheduled on an as needed basis based upon the results of their surveillance efforts. The mosquito spray is not harmful to humans or pets, but you should avoid direct contact if you have respiratory concerns or are sensitive to irritants. 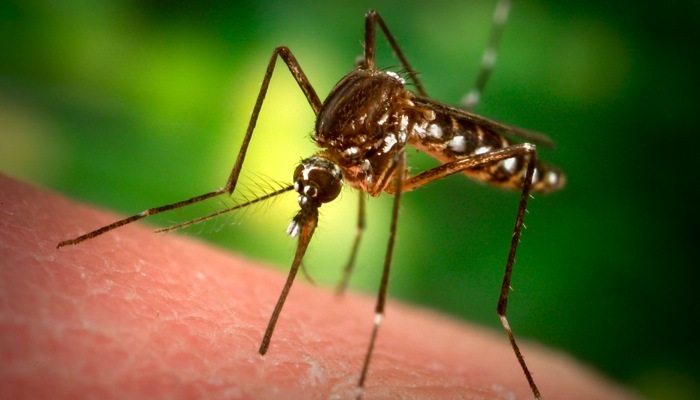 “Although there have been no locally transmitted cases of Zika Virus from mosquitoes reported in New Jersey at this time, the Camden County Department of Health and Human Services is working closely with the CDC and the New Jersey Department of Health to actively monitor the situation,” said Freeholder Carmen Rodriguez, liaison to the Camden County Department of Health and Human Services. Residents should check their property for any object that holds water for more than a few days. All pre-adult mosquito stages (eggs, larvae, and pupae) must be in stagnant water in order to develop into adult mosquitoes. • Swimming pools are a common problem. All pools must be checked and maintained to keep them mosquito-free. Swimming pools can breed mosquitoes within days after you stop adding chlorine or other disinfectant. Pool covers can catch rainwater and become a mosquito development site. Add a little chlorine to kill mosquitoes. • Maintain screens to prevent adult mosquitoes from entering your home or business. • Personal protection is strongly urged if you are outside when mosquitoes may be active—generally dawn and dusk. Insect repellants containing between 10-35% DEET are very effective, however, be sure to follow the label directions and take extra precautions with children and infants. • Dispose of unnecessary containers that hold water. Containers you wish to save turn upside down or put holes in the bottom so all water drains out. • Lift up flowerpots and dump the water from the dish underneath every week. • Stock fish or add mosquito larvicide to ornamental ponds. • Change water in bird baths, fountains, and animal troughs weekly. • Screen vents to septic and other water tanks. • Store large boats so they drain and small boats upside down. If covered, keep the tarp tight so water does not pool on top of the tarp. • Do not dump leaves or grass clippings into a catch basin or streams. • Do not allow water to collect on sagging tarps or awnings. • Do not allow trashcan lids to fill with water. • Check downspouts that are able to hold enough water to allow mosquito larvae to mature. For more information, contact the Camden County Mosquito Commission at (856) 566-2945.